patterns > Patons North America > Patons #577, Where Did You Get That Hat? Patons #577, Where Did You Get That Hat? Uses three colors of yarn, one in a very minimal amount. Yardage above is estimated for all three colors combined. 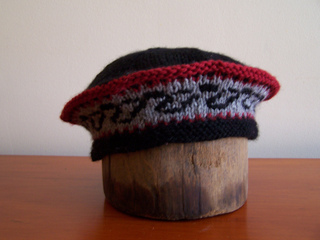 Pattern is written to knit hat flat and then seam. 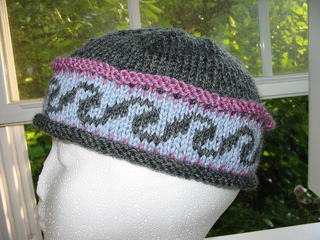 Pattern book describes the hat as “An elegant shape with an exotic border motif.” Border motif is charted.